Dr. Zak Dental Care has been serving the community of Southern California since 1994. At Dr. Zak Dental Care, we are dedicated to continuously teaming up with the most qualified dental professionals and specialists. Our staff is extremely well-trained and skillful, and we are committed to providing enthusiastic and positive service to all our patients. All our team members are registered assistants, and the staff has had many years of experience in providing patients with superior care. 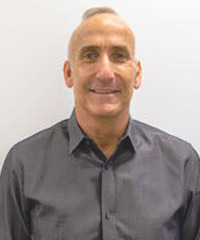 Dr. Ilya Zak attended USC Dental School, graduating in 1990. He was one of only eight unique students to complete the ADAPT program, an accelerated 6-year dental program that allows one to complete both undergraduate and graduate requirements. After graduation, he completed TMJ/Pain Management residency at White Memorial Hospital and became a qualified medical examiner for TMJ dysfunction in California. 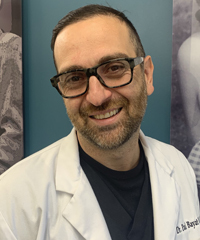 He is also a part-time clinical instructor at his alma mater, USC Dental School, and he practices in Simi Valley, Valencia, Agoura Hills, and Long Beach since 1994. 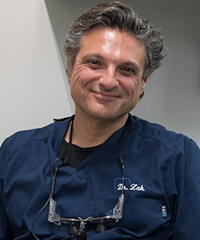 Dr. Zak ensures that the dental care that is provided at Zak Dental offices is wholistic, comprehensive, and enhances patients’ overall wellness. 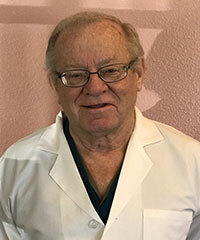 Dr. Howard Kopel, DDS, attended USC School of Dentistry and has been working in the field for more than 3 decades. He has received excellent training in every dental field, and he has received numerous awards for excellence in oral cancer diagnosis. He utilizes his keen understanding of comprehensive dental care to ensure that his treatment plans are optimized for the ultimate goal of enhancing patients’ wellness. In his free time, Dr. Kopel loves to race fast cars, play tennis, and spend time with his family. Dr. Karnakova graduated from the Moscow Medical Stomatological Institute in 1991. She worked for many years in Moscow before moving to the United States where she has worked for over 18 years as a general Dentist and part time instructor for the Duggan Study Institute. Dr. Karnakova’s approach to patient care is wholistic to ensure a strong and positive link between oral health and patient wellness. Dr. Olga Karnakova is fluent in English and Russian languages. 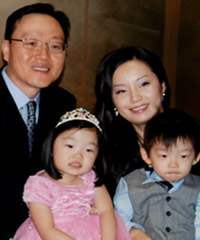 Dr. Charles Chung graduated from Loma Linda University’s School of Dentistry in 1999. While there, he went on many volunteer missions in southern California and South America that involved dental work and inner-city volunteering. He is a member of the American Dental Association and California Dental Association. His work is always precise and performed calmly, making him very popular with patients. Dr. Nadia is a Graduate of the Carlo Davila University of Bucharest in 1993. She is Fluent in English, Farsi, and Romanian. Dr Nadia has been practicing in California for over 14 years. She brings her wealth of knowledge in implantology to every patient that she sees and treats. 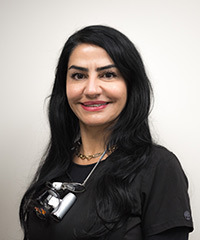 Dr. Nadia is an avid believer in developing treatment plans that are designed to enhance patients’ oral health and optimize their overall wellness. Dr. William Olson attended Loma Linda University, graduating in 1987. His entire family is in the medical field which is what made him become a dentist. His passion is doing restorative and cosmetic work, and seeing his patients smile after the work is done. It brings him a huge satisfaction when he helps patients reach their ultimate goal when it comes to their smile. One fun fact about him is that he likes to go hiking, skiing and loves dogs. Dr. Roshanak Momen (Roshi) received her degree in 2016 from Loma Linda University, School of Dentistry. She also got an award for being a Teacher’s Assistant in Restorative Dentistry. She has her DDS degree from Azad University in 2009 as well. 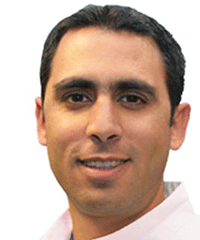 Dr. Roshi speaks English and Farsi and is committed to improving his patients’ health. Dr. Paul graduated from USC Dental School. 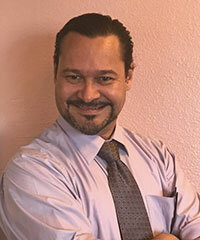 He has more than 15 years of experience in the dental field. Dr. Paul has been treatment planning and treating more than 50,000 patients. Dr. Paul’s emphasis on the patients’ overall well being and his ability to prioritize treatment plans to any budget has allowed his to enhance the oral health of nearly all patients that he sees irrespective of their financial challenges. 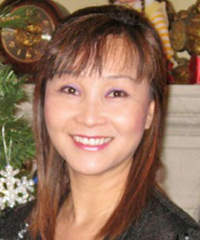 Dr. Mai Phan initially received her Bachelor’s degree in Electrical Engineering from the University of California, Irvine. Then, Dr. Mai Phan went on to obtain her DDS from USC. She is a gentle individual by nature, and strives to provide great services and care to her patients. Dr. Mai Phan tries to complete her work in a fashion she truly stands behind. Her expertise as a dentist is laser assisted periodontal management, hygiene cosmetic fillings, veneers, inlay/onlays, teeth whitening. In her spare time, D. Mai enjoys books, traveling and spending time with her family. 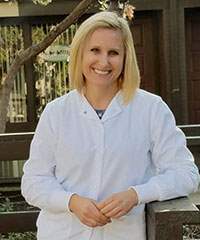 Dr. Kristen Miller is graduated from UCLA with general dental education and UCSF with her orthodontist training. She graduated the class as top 5% students. She was also the Vice President of her dental school class. Dr. Miller participated in the UCSF mobile clinic. She is fluent in Spanish. 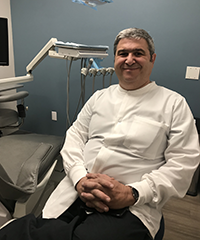 Dr. Pedram Fakheri is proficiently trained in all aspects of periodontics including dental implants, non-surgical and surgical treatment of periodontal diseases, and periodontal bone regeneration. He graduated with his DDS from the University of Medicine & Dentistry of New Jersey in 2008. 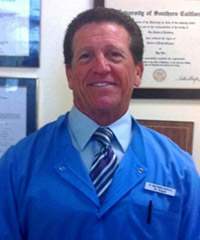 Moving from East to West coast, he then received specialty certification in Periodontics from Loma Linda University in 2011. 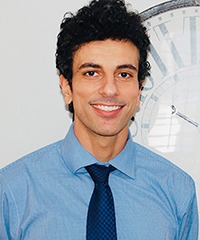 In addition to providing high quality care to all of his patients, Dr. Fakheri is fluent in English and Farsi. Dr. Nima Aleagha graduated from the Tehran University of Medical Sciences in 1994. He provides quality dental examinations for his patients, caring for adults and children in the practice. With over 25 years of experience, Dr. Aleagha provided treatment plans for thousands of patients over the years. Dr. Nima is fluent in Farsi as well as in English. Dr. Richard Katnik has been practicing dentistry for 45 years. He graduated from The Ohio State University and received his dental license in January of 1969. Dr. Katnik was the original operator at our San Diego location, and he continues to see patients there to this day. His commitment to patients and to the dental profession is exemplary. 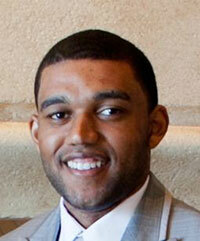 Dr. Kenneth Brown graduated from Stanford University with Bachelors in Human Biology. He successfully earned his DDS from Texas A&M University in 2013. Four years later he also completed residency in Oral and Maxillofacial Surgery from Harbor-UCLA Medical Center here in California. Dr. Brown enjoys all aspects of oral and maxillofacilal surgery, with a focus on dental implants and removal of impacted teeth. For sensitive patients, Dr. Brown is certified to administer various forms of sedation to ensure patient's comfort level at all times. Dr. Violetta Kenigsberg attended UCLA before pursuing her Doctor of Dental Surgery degree at Columbia University College of Dental Medicine. She then pursued her Advanced Education in Periodontics at the NYU College of Dentistry. Her favorite part of her new position is getting to work with such an amazing team as she addresses the periodontal needs of the community! Dr. Kenigsberg actually met her husband while she attending dental school in New York. Together, they lived in New York for eight years and had a beautiful daughter named Renee there. In October of 2015, they decided to move to Los Angeles, where their second daughter Nicole was born. She holds great pride in her career and her family. Dr. 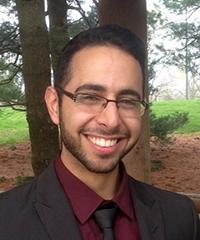 Basil Hammoudeh received his DDS from NOVA Southeastern University College of Dental Medicine. He has been practicing General Dentistry since 2006. Dr. 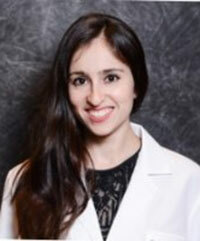 Basil also earned an Associate Fellowship in Clinical orthodontics at the Texas Academy of GP Orthodontics. When Dr. Basil is not caring for his patients, he's focused on wellness and nutrition. He loves hiking and cooking vegan meals for him and his wife. 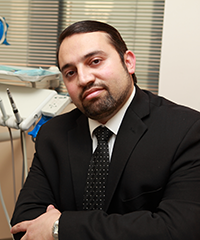 Dr. Ali Aldabe graduated from the Southern Illinois University School of Dental Medicine with his DDS. He is diligent in his pursuit to stay current in providing the profession’s leading dental care procedures while utilizing state-of-the-art technology, supplies and equipment. Dr. Aiham Machhadani graduated from Damascus University in Syria in 1999. He then continued his education at California's Dr. Duggan Study Institute. Dr. Machhadani then continued his education at Columbia University, earning his specialty certification in Endodontics in 1999. For nearly 20 years, Dr. Machhadani has serviced patients in southern California. In his spare time, Dr. Machhadani lives an active life playing soccer and tennis.